Year 11 chemistry students presented projects on the chemistry of wine, cosmetic, and hydrogen as renewable energy. 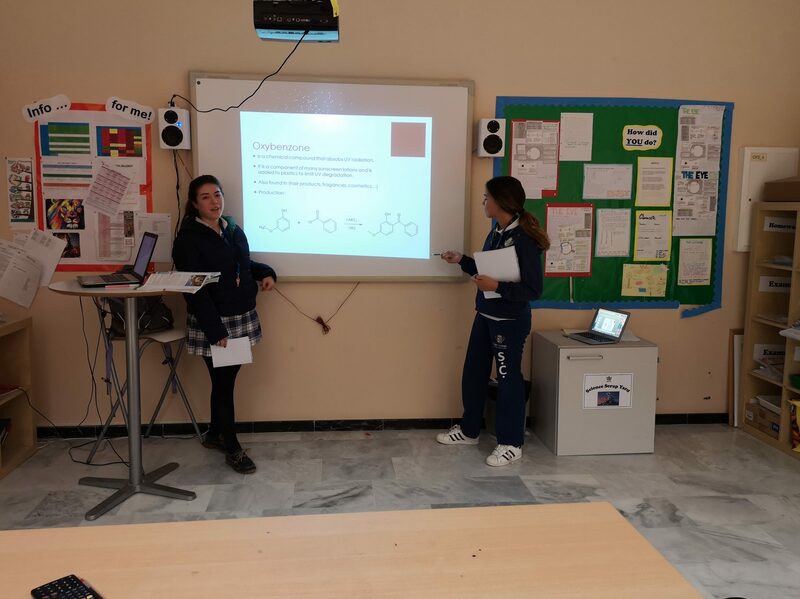 As real problems are solved by using a combination of skills, they also used their knowledge in biology (for example to explain the importance of carbon dioxide for plants) and business (for instance to explain how some companies, related to the topics presented, are organised). Some science and business year 13 students evaluated their presentations to provide them with guidance. Thus, this activity allowed students to link the knowledge from different subjects and to use the collaborative learning, practising important skills for their future.